How Do I Get the Smell Out of a Plastic Bowl? 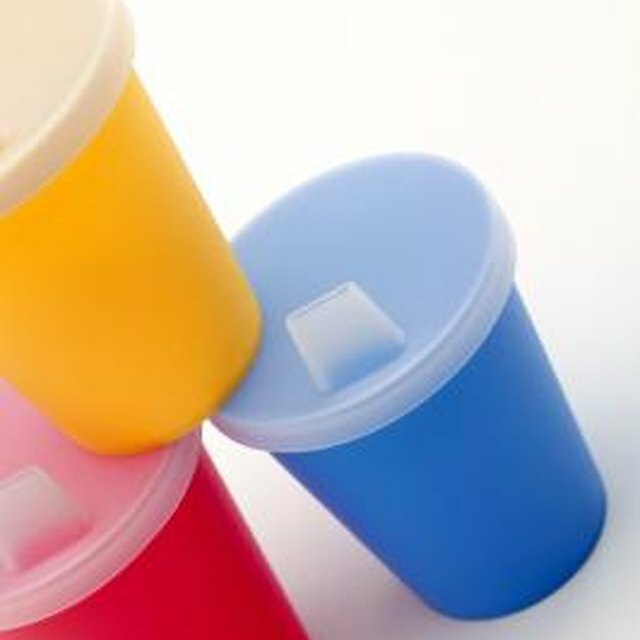 If you have a plastic container that has a rancid smell, you may want to consider your options in salvaging the container. Plastic is a porous material that allows materials to absorb into kitchen equipment, and people often throw smelly plastic bowls away, but you can save your plastic bowls by removing the unpleasant smells. Submerge the plastic bowl in very hot water and weigh it down with a heavy item. Allow the container to soak for 20 to 45 minutes. This will work to remove any traces of dried food or bacteria that you cannot see. Wash the bowl with a non-abrasive scrubbing pad with anti-bacterial soap. Rinse it off under cool water. Use a homemade cleaning solution to help remove the odor. Combine 2 tbsp. of baking soda with 2 tbsp. lemon juice and mix thoroughly. Add ¼ cup of water. This will form a paste that you can rub onto the bowl. Cover the bowl with this cleaning-solution paste. Allow the cleaning solution to set on the bowl for 10 to 15 minutes. Rinse the solution off the bowl and allow it to dry. Form a piece of newspaper into a ball. Place it inside the plastic container, and place the lid on the container securely. Leave the plastic bowl alone for 12 hours. You can let it sit overnight. Open the container and remove the newspaper. The paper will have absorbed leftover odors. Clean the plastic bowl thoroughly with soap and water. If you are using a clear plastic container, soak it in bleach. The bleach will help to remove the bacteria and odor. Make sure you wash the bowl with soap and water to remove any traces of bleach. Instead of plastic, use glass or stainless steel bowls to mix any strong-smelling foods in the future.